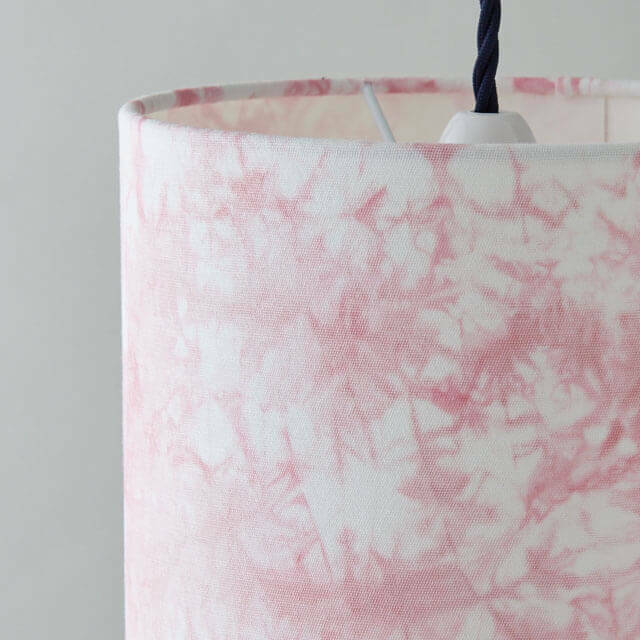 Shibori is a slow craft and all my pieces require a number of processes such as stitching, binding or clamping, and dyeing before being assembled into a lovely lampshade. 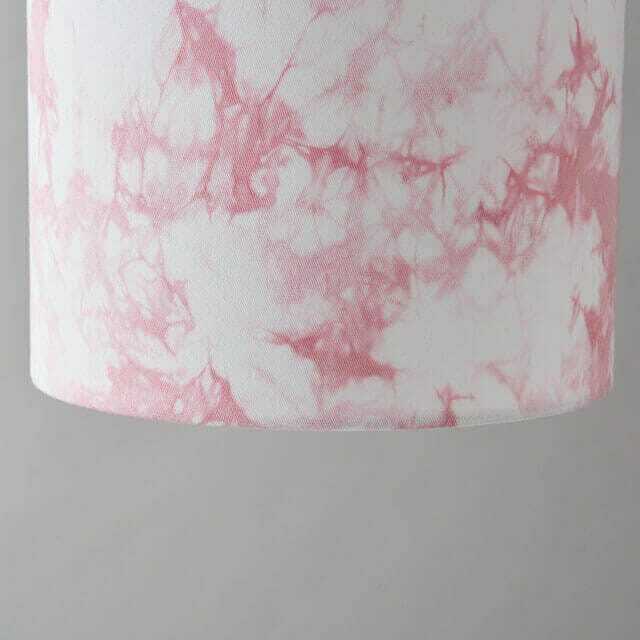 This pink and white Shibori marbled effect lampshade from Romor Designs is part of the “Constellation” collection recently launched at MADE London by Romor Designs. 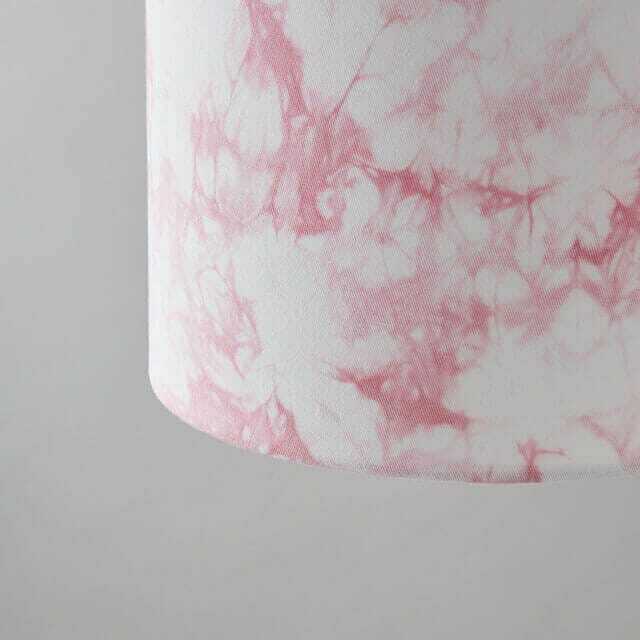 It is handmade using vintage French linen that has been carefully manipulated to form hundreds of tiny folds and ridges and then compressed and dyed to form the marbling pattern. The dye distributes unevenly according to where it can find its way into the fabric creating a unique and unrepeatable pattern resembling a constellation in the night sky. Mordanted overnight in Alum, dried for 2 days to absorb the mordant and then dyed using Brazilwood, a woody natural dye the fabric has to be steeped in a hot dye bath for over an hour to capture the delicate pink colour. As with all my handmade fabrics, this is a one of a kind piece, no-one else will have one that is exactly the same. * Please note: Due to the handmade nature of this item the exact pattern and colour you receive will be similar to but not exactly the same as the one you see featured. 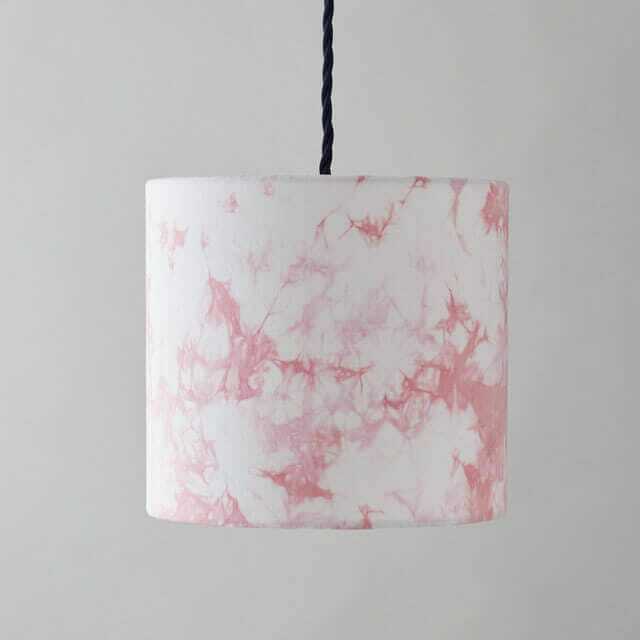 Inspired by the marbling you see on the covers of antique books this piece makes the most of the way the dyes spread unevenly through the carefully crumpled fabric. Fascinated by all things Japanese Rob applies his knowledge of traditional techniques by applying a modern twist and using a range of colours to produce brightly coloured original lighting.